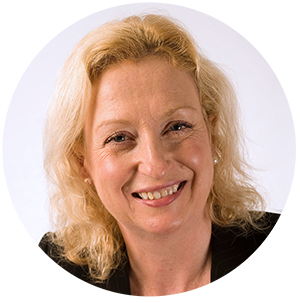 Josephine Swinhoe’s insights and observations on the latest tinnitus news and research. I’ll put my hands up here and acknowledge straight away - the subject of my latest blog may not be the most appealing! That’s because I am writing about … ear wax removal. 2018 has been a great year for films hitting the big screen, with deaf actors, or characters with hearing issues, in the lead roles. Spring is here – but can you hear the cuckoo call? Spring is here, which means birdwatchers – including me – will be listening out for our first cuckoo call. Facing ‘revolving door healthcare’? Don’t give up. With pressures in general practice continuing to build, The Royal College of GPs recently warned that GPs “could reach breaking point” and that over a third feel they may no longer be working in the profession in five years’ time. Matthew Clark, Consultant Otologist at Gloucestershire Royal Hospital & Cheltenham Tinnitus Clinic and Education & Training lead for ENT UKs Global Health Committee recently visited Uganda as part of his ongoing work in global health education related to otology. At The Tinnitus Clinic we’ve started 2018 more energised than usual thanks to the publication of some exciting new research. …A time of gift giving, eating lots, and celebrating with family and friends. But underneath the festive cheer can be a lot of underlying stress for many people. It’s important we take time to reflect, and remember those who have died in the line of duty as well as those who continue to serve. This is something we feel very strongly about at the Tinnitus Clinic where we treat many Service members who, due to the nature of the profession, have suffered some form of hearing problem. Living in central London the sound of police and ambulance sirens are a daily occurrence. When they push through the traffic I imagine what life and death situation they are going to deal with, whether the vehicles occupants know what awaits them or whether they are nervous of what they will find. I was intrigued when I read about the plot of a film coming out in late June, Baby Driver, which features a getaway driver who has a ‘hum in the drum’ as a result of a childhood accident. Is it tinnitus? When I was a teenager, mobile music was only achieved by walking around with a transistor radio held at my head. Then I was introduced to an Aiwa cassete recorder with headphones. Over the years that The Tinnitus Clinic has been in operation, our expertise in tinnitus and hyperacusis has brought relief to hundreds of patients across the country. Matthew Clark, consultant at The Tinnitus Clinic Cheltenham talks about his experences volunteering with The Britain Nepal Otology Service (BRINOS), providing expert treatment to Nepalese people suffering from ear disease and helping to train doctors making a career in ENT surgery. I’m continuing my look at people who are involved in tinnitus with this special blog about Dr Gabriel Hendow, a GP with a special interest (GPSI) in Ear, Nose and Throat. Dr Hendow has been very supportive of our work to make people aware of tinnitus. The hearing system is fascinating – taking something which cannot be seen – sound – and turning that into an electrical impulse within our heads, which we learn to recognise as a car, a whistle or a child crying for example. During the years, I’ve been building up The Tinnitus Clinic, I have come across some very passionate people working in audiology and hearing loss. 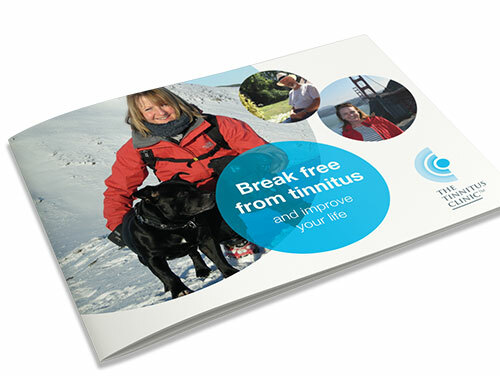 The Tinnitus Clinic started business in 2011. Since then we’ve grown, helping thousands of patients to a better quality of life. We don’t do this only through sourcing and using the very best technologies available but also through the skills, expertise and commitment of others. For many people living with tinnitus, certain tasks such as simply boarding a flight can be extremely daunting as they are aware of the pressure changes that can exacerbate their condition. We are often asked if we can supply a pill to cure tinnitus. It's the answer many patents would prefer. If we have a headache we take an aspirin. Back pain, take an anti-inflammatory. Tinnitus … No pill. Bird watching is something I came to recently as a hobby. I have been an avid hill walker and was aware of birds as I roamed the beautiful peaks of Sheffield and Scotland. I could at a push, probably have recognised and named twenty. Action on Hearing Loss wrote a report in 2015 called ‘Hearing Matters’. I am sharing the key recommendations of this report on my blog because I believe it is very important that we all promote the needs of the hard of hearing and people with tinnitus. In 2012, Action on Hearing Loss submitted written evidence to the Parliamentary Committee on Science and Technology. Clinically effective treatments – the now, not tomorrow! Tinnitus is a combination of symptoms; the most common being the hissing, buzzing or whistling sounds which patients report hearing. With no external noise creating these sounds, so no means of ‘switching the noise off’, patients’ understandably get increasingly stressed and anxious about what is happening to them. Over 2 million people in Britain are now cycling at least once a week, with over half a million of those being women. It’s a great way to keep fit, keep commuting costs down and have fun. I am more aware of the weather when cycling and it is really true that a morning cycle doesn’t mean getting wet every day. After every election there are many promises made which we are assured will definitely lead to improvements on any number of issues. I don’t envy our politicians and civil servants in trying to decide what the spending priorities are. Housing? Education? Roads? Hearing? In July 2014, The Royal British Legion produced a report entitled ‘Lost Voices’ which looked at the hearing needs of the Armed Forces community. Have you been told to "learn to live with tinnitus"? I have a great admiration for those who work in primary care. Nurses, doctors, receptionists who deal every day with people who are frightened, worried and are looking for answers for a myriad of health issues. About 35 years ago, I can remember buying my first personal music system - an AIWA personal cassette player – state of the art then, but I suspect only found in museums now. Having recently injured my shoulder enough to warrant a trip to A&E and a sling for two weeks, it was with some trepidation, when complete with sling, I stepped on to the tube to get to work. I recently misplaced a contact lens and had to wear my glasses for several days while waiting for the replacement lens arrived. While I was very self conscious of my glasses, it was interesting that very few people commented on them. Glasses are so commonplace that nobody thought to mention it, and what mattered most was my attitude to the glasses. Across the UK, thousands of people are currently preparing for a summer of music festivals. These events can be lots of fun but the extremely loud music can also put you at risk of tinnitus and hearing loss. Our video explains the neurological causes of tonal tinnitus and how audiologists at The Tinnitus Clinic are able to treat it with a pioneering therapy known as Acoustic CR® Neuromodulation.